“Sean needs support right now. Rick Kerger, his lawyer is filing a restraining order preventing the ODRC from cancelling future video visits. There are three things you can do. 1. Call OSP Warden Forshay and demand that he meet with Sean in good faith and negotiate a reversal of the ODRC policy of f**king with Sean on flimsy pretexts. 330-743-0700. Ext. 2006. 2. Write Sean a letter, or even better, request a video visit yourself. The first step is getting approved as a visitor, using this form. The more communication we send Sean’s way, the more of their time they’ll have to waste f**king with him. Sean often says “they’ll get tired of killing me before I get tired of dying.” Let’s make sure he’s right. 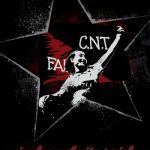 Finally, we get an update from a comrade in Barcelona about Operacion Pandora, the Spanish government’s series of raids and arrests on December 16th, 2014, of anarchists around the country. The Spanish government, according to the guest, is trying to link those 7 remaining with charges of connection to the GAC (Coordinated Anarchist Groups) which published a rather dry book criticizing Democracy and it’s uses by existing governments to justify VERY undemocratic actions. 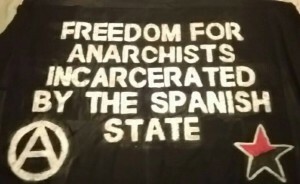 The Spanish government is then proposing that GAC is aligned with the Informal Anarchist Federation Tendency (FAI/IAF). The text, which will be distributed for free on February 14th in protest around Spain, can be found here in Spanish and portions have been translated into English. 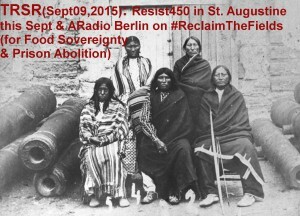 The guest speaks about La Ley Mordaza (Gag Law) recently passed in Spain and how this operation appears to be a first step of illegalizing effective protest tactics (such as protesting at religious institutions or setting up barricades) and branding them as terroristic in order to choke off resistance within Spain. from OnAMOVE.com’s statement on the death of Phil Africa. More can be found by following that link. This week, The Final Straw spoke with Kevin Price about the medical emergency that William Phil Africa of the MOVE9 was undergoing and lack of transparency on the part of his captors at SCI-Dallas in Pennsylvania. 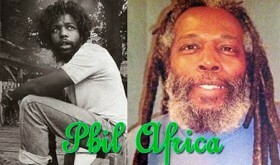 Phil Africa was suffering from diarrhea and vomiting and his supporters and family were not being clearly communicated with in terms of his whereabouts or his state of well-being for days on end. 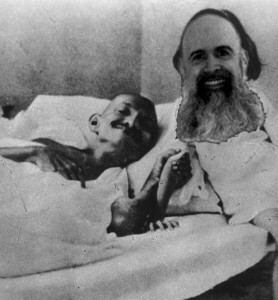 Phil was moved to Wilkes Barr General Hospital and his supporters were told he wasn’t there for days until public pressure on the prison officials and hospital employees forced them to acknowledge his presence there. Arguing HIPPA, they refused to comment on his status or allow him to call his wife (Janine of the MOVE9) or the MOVE organization until enough calls and twitter pressure occurred that Janine was allowed to speak with Phil on Thursday. This conversation was recorded on Saturday, January 10th 2015. Just before The Final Straw airtime (January 11th, 2015), we caught wind of the news that Phil had died. Our sympathies go out to his supporters and loved ones. We’re deciding to air a slightly modified version of this episode for a few reasons. Though this effort won’t bring attention to help save Phil’s life from the horrors of prison, it stands as a testament to his work and that of the other defendants in the MOVE9 case. It discusses the corruptions of the police, prisons and courts (particularly in PA in this case) and the struggles and injuries suffered by the MOVE organization over the years. The fact of Phil’s death brings extra weight to the argument that prisons kill, that imprisonment is a political punishment, that aging prisoners have special needs that prisons (even if they were to work “humanely”) don’t have the infrastructure and don’t function to sustain the healthful life of prisoners, particularly those who’re aging and have special needs. This is, among many others, a case of Medical Injustice, torture and murder. 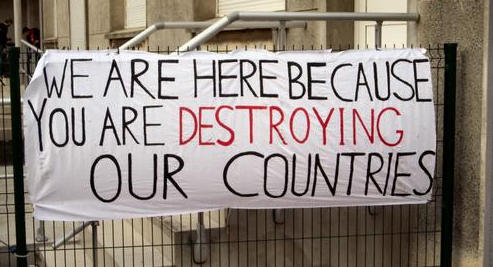 Also on this episode, we feature audio from Črna Luknja (Black Hole), an anarchist radio show from Slovenia and airing on Student Radio in which they speak to “P” in Barcelona, Spain, about the recent series of raids and repressions against anarchists around that country. 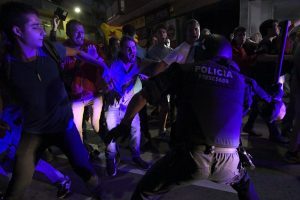 The raids and repression has been dubbed Operation Pandora and has ostensibly centered around the publication of a book entitled “Contra la Democracia” (Against Democracy), which breaks an arcane law against the current order which remains on the law books from the era of Francisco Franco’s dictadura. This week’s episode of the final straw picks up where last week’s left off. 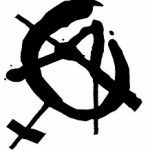 The features speakers are Ana and Pablo, two anarchists living in Barcelona, and they’ll be discussing the rise and struggle of Anarcha-Feminism in Spain since the social revolution of the 1930’s through to current times. We’ll also be discussing intersections of anarchist struggle and healthcare in the age of austerity and visions of autonomous and anarchist forms of health care. This show also features a scene report of Anarchists in Spain today by Pablo and Ana presents some closing thoughts on struggles to engage in. Following the discussion, you’ll be hearing some new metal tracks from Brighton’s own Light Bearer. Light Bearer is a 4 album project themed around the fall of Lucifer. Light Bearer shares members with the band, Fall of Efrafa, an epic crust band themed around the novel Watership Down. The 2nd album in the series, Silver Tongue, has just been released by the band to a mediafire file. We’ll also hear a metal track posthumously released from the Austin Texas anti-civ anarchist sludge project, Ecocide. For archives of this and other episodes of the Final Straw, check out radio4all.net and search the show title. 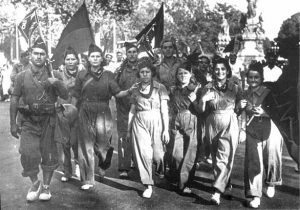 For many Anarchists, the history of Anti-authoritarian and Anti-capitalist resistance in Spanish serves as a laboratory in which to discuss the successes and failures of that political trajectory in application. The communes, the vibrant difference and debates that existed, and the resistance to the rise of fascism, bourgeious social democracy and statist communism: these are elements that find echoes in struggles prior (such as the Russian Revolution) and since (the struggles in the sixties through to today). This weeks speakers, Ana & Pablo, present a slightly different narrative. By covering a critical (if brief) history of the Anarchism existant from the beginning of the Social Revolution ongoing when Franco’s military coup of 1936 was engaged, through the era of dictatorship, through the spectacular democratization of Spain in the 1970’s and into today, the speakers propose that the strongest that Anarchist movements have been was during periods of critical heterodoxy and debate within, as well as mutual aid and support in the face of restistance. This show, due to it’s length, is split into two episodes. The first aired 2013-02-03. Following interviews, there’s about 20 minutes of metal tracks from Usnea and others! The playlist can be found here.